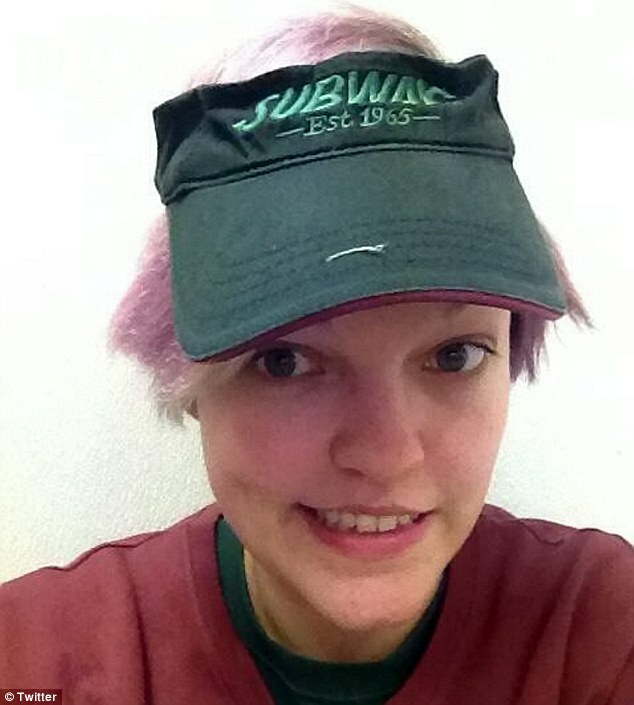 A Subway worker who used a bread oven to dry her wet socks and gloves has become the centre of an internal investigation after she posted a picture of her carrying out the unhygienic act on her Instagram page. 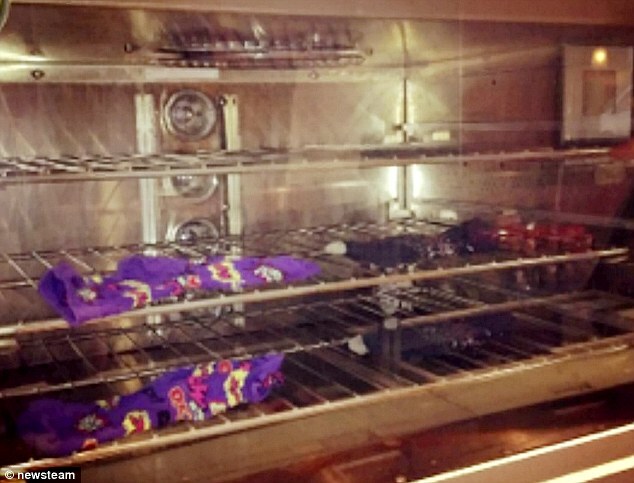 Alice Sykes, 25, uploaded the picture of her soggy clothes – a pair of purple socks and dark gloves – laid out on the heated metal racks which are used to cook bread. 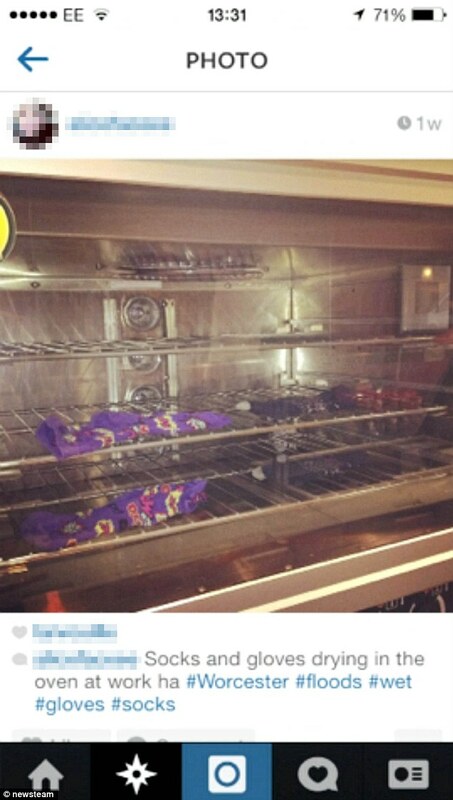 However, the image was removed after Jessica Hinton, a regular customer at the Subway store in the St John’s area of Worcester, spotted the image online and complained. The 29-year-old office cleaner was offered vouchers by way of an apology by the store manager, who called her the next day. Miss Sykes, of Worcester, attempted to justify her actions by saying it was ‘one off thing’ and insisted the oven was cleaned after her socks had dried off. In a Facebook exchange between herself and Miss Hinton, she wrote: ‘Hello. I just wanted to talk to you. 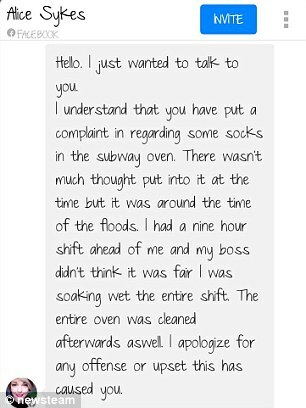 ‘I understand that you have put a complaint in regarding some socks in the subway oven. ‘There wasn’t much thought put into it at the time but it was around the time of the floods. ‘I had a nine hour shift ahead of me and my boss didn’t think it was fair I was soaking wet the entire shift. ‘The entire oven was cleaned afterwards as well. I apologize (sic) for any offense this has caused you. ‘It was a one off thing that thought wasn’t put into. But we strive to have a clean store every single day. 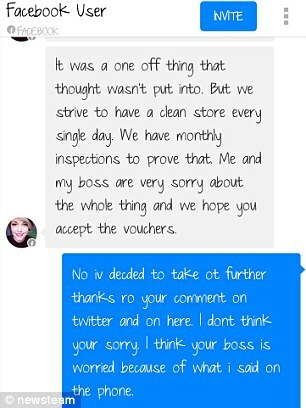 ‘We have monthly inspections to prove that me and my boss are very sorry about the whole thing and we hope you accept the vouchers. 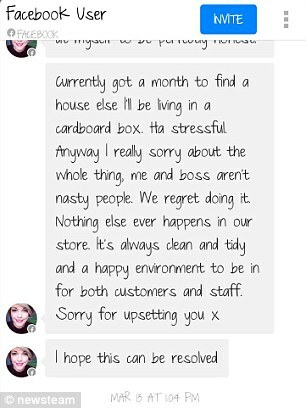 ‘Anyway I (am) really sorry about the whole thing, me and my boss aren’t nasty people. ‘We regret doing it. Nothing else ever happens in our store. It’s always clean and tidy and a happy environment to be in for both customers and staff. Sorry for upsetting you. 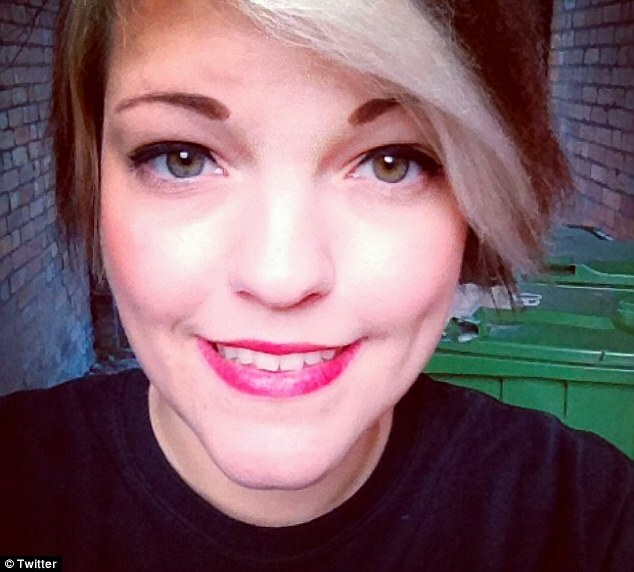 However, mother-of-one Miss Hinton, wasn’t satisfied with the apology and declined the vouchers offered to her before going into the store to speak to the manager in person – who said the worker was made to apologise or face losing her job. Bizarrely, the boss then offered the angry customer a Sunday job and two free six-inch sandwiches. Miss Hinton said: ‘I spotted the picture last month during the floods and thought it wasn’t on so complained. ‘I waited for ages for someone from Subway to get back to me and the day after I threatened to go to my local paper the manager called me. ‘And then Alice started private messaging me on Facebook apologising. It was borderline harassment. ‘But she didn’t take the picture down from Instagram so I went to the store to see the manager and said she obviously can’t be sorry. 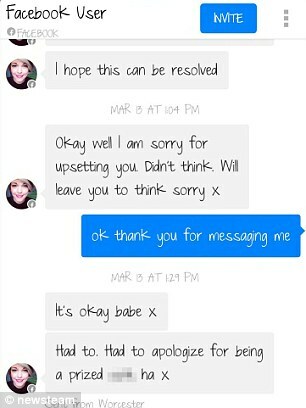 ‘He apologised and said she was made to take it down and apologise. ‘I have nothing against Subway, me and my son Coby used to go in there all the time for a sandwich. Miss Sykes, who still works at the Subway store, refused to comment. 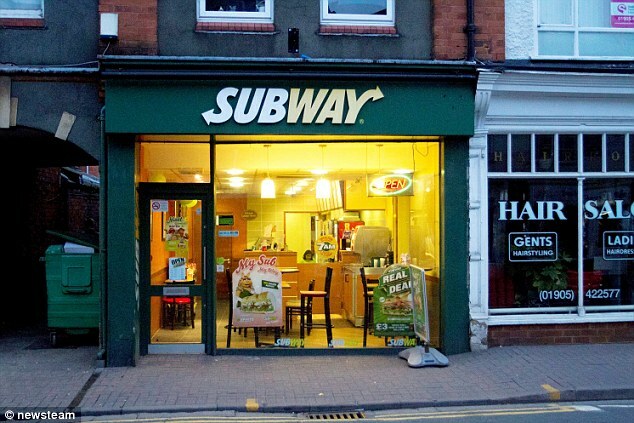 However, Andrea Fleck, development agent for the Subway brand in Worcestershire, said: ‘We are in the process of investigating the facts at this particular franchise.